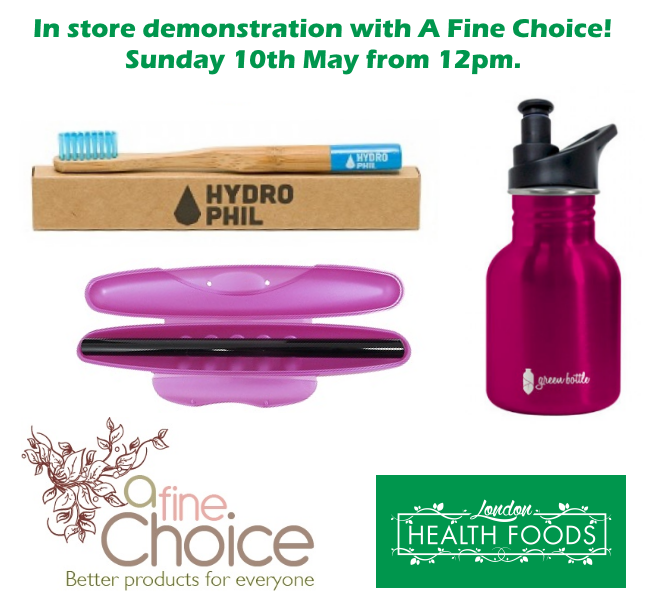 We are proud to announce on Sunday May 10th 2015 12pm – 3pm we have an in store demonstration of some great eco-friendly products with A Fine Choice. Set up by Daniela Schaffrik, A Fine Choice create top quality, natural fun products. On Sunday at London Health Foods you have the chance to see some of them in an in store demonstration. Take a look at bamboo toothbrushes, stainless steel water bottles and glass straws. We look forward to a fun event on Sunday!